His departure was brilliant, and was enriched with great glory. This Saint was from the famous island of Crete, the son of most-pious parents, whose names were Theophanos and Julianna. After having passed much time in learning, he was charged by his parents to shepherd the sheep. One time he was inflamed with divine zeal and eros, and he withdrew from his homeland and went to Seleucia. He passed some time there, where the renowned one lived only on bread and a little water. When he arrived at the twenty-sixth year of his age, the iconomach Leo the Armenian renounced his life, who reigned from the year 813, and Orthodoxy spoke boldly. Therefore at that time this Saint went to Jerusalem, since he loved to venerate every holy places. There he endured terrible things from the Hagarenes and the Jews for twelve entire years, of which it is impossible to be written, since I want to keep this brief. He withdrew from Jerusalem, and went to Rome, where he received the angelic schema of the monks, taming his body with temperance. 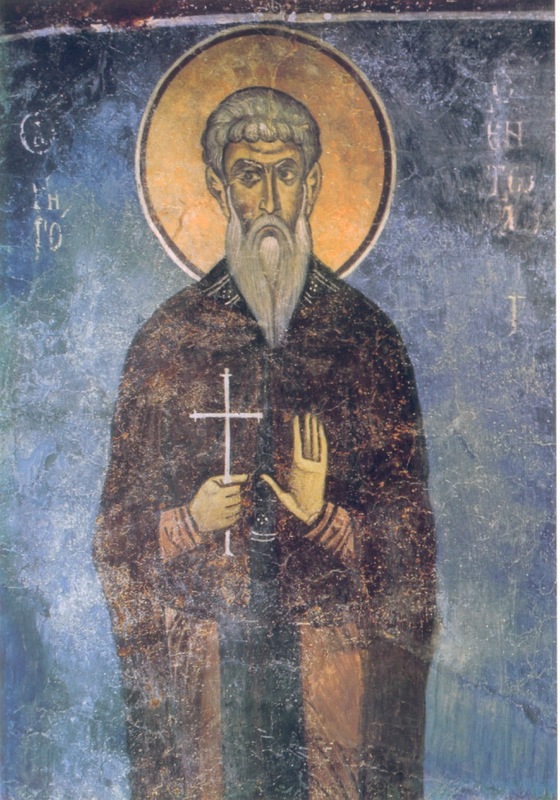 When Emperor Staurakios died, and Michael the Kouropalates and Rhangabe became emperor in 811, Saint Nikephoros became Patriarch of Constantinople. Then Michael of Synnada the Confessor was sent to Rome to the most-holy Pope. There he found Saint Gregory, took him with him when he returned to Constantinople, and brought him to the monastery in the place called Akritas (this place is near Chalcedon, near modern Pendik). There he was numbered among the monks found there. There the Saint went about barefoot and had only one shirt, he slept on a straw mat, and ate and drank every two or three days a little bit of bread and water. There he enclosed himself in a deep pit, where he lamented for many years the disturbances to the Church of Christ, concerning the abolition of the holy icons. Later he came out of the pit, and shut himself inside a most narrow cell, covered by a leather shirt. He would fill a large pot of water that was in the garden, and at night he would take off his shirt, and enter into the pot. While inside he read the entire Psalter. When he had finished, he came out. This he did all the days of his life. With such struggles therefore the blessed one struggled well, and he delivered his soul into the hands of God. 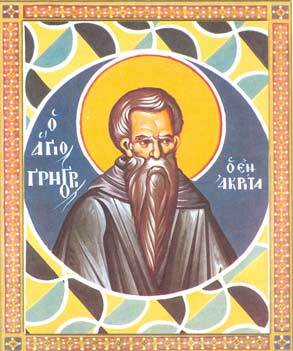 Beautifying a brilliant life, a precious vessel of divine grace and model of virtue you were shown to be through temperance, Venerable Gregory, holy offspring of Crete, the sacred boast of the Monastery of Akritas. And now cease not to intercede, Father, on behalf of those who honor you.